But let’s focus on what’s going on here. 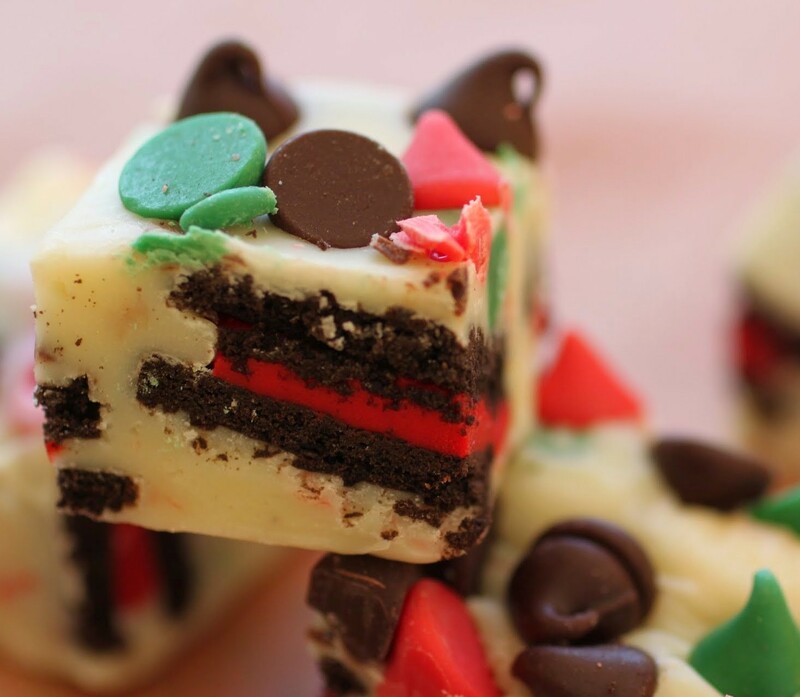 This fudge is surrounding Oreos. And holiday chips. And it’s so decadent and delightful! Unlike my other two fudges this week, I made this one on the stovetop. White chocolate is not chocolate, and it’s finicky. If you melt it down too much, if it gets even slightly overheated, the stuff seizes up and becomes unworkable. So I prefer to use the stove because I can stir as it melts and take it off the heat at just the right moment. A lot of people make their white chocolate fudge with heavy cream, or marshmallow cream, or both. You can go that route, but I’ve never been into fussing. The more ingredients you put into fudge, the higher the chance of messing it up. So my trusty sweetened condensed milk and I will stay together forever! Once your fudge base is melted and ready to go, you just barely stir in the mix-ins. 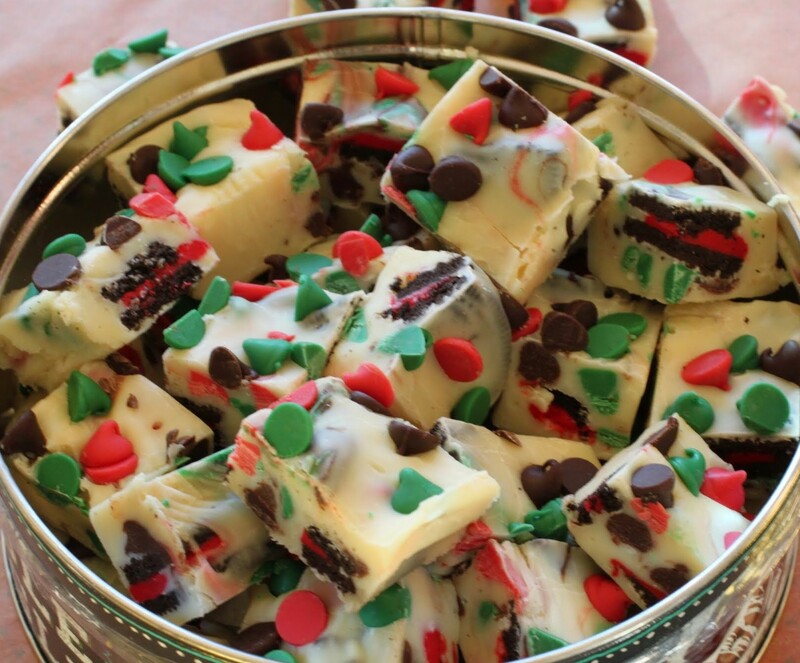 Too much stirring will bring color streaks into your pretty white fudge. Maybe you want that, but I did not. Something about wintry white fudge this time of year is really appealing to me! Probably because I envision eating it under a blanket while staring out at the snow falling. And yes, it makes a great gift! Considering it’s just kind of gray and gross outside, that’s another fantasy for another day. For now, the fudge itself will have to do. And believe me, it’ll make you happy enough! Line an 8 x 8 pan with aluminum foil, using enough to hang over the sides. Spray it lightly with cooking spray. Line the bottom with a few broken Oreos. Set aside. On the stove over low heat, melt the white chocolate chips with the condensed milk, stirring constantly, until the mixture is melted and smooth. Quickly and gently mix in the holiday chips and remaining Oreos, but don't stir too much or your fudge will change color. Pour into the pan, spreading carefully to even out the top. Sprinkle on the remaining holiday chips. Chill for 3 hours. Let the fudge come to room temperature. Cut into squares with a sharp knife and store in an airtight container. 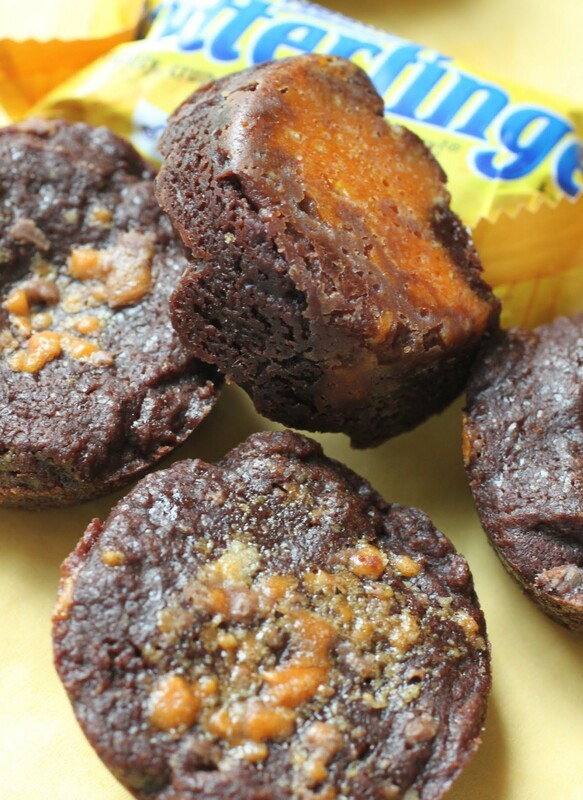 Ya know, Butterfingers have never appeared on this blog. Why? Why? So hard to answer a question for which there’s no good answer. The reason is, of course, because I just never got around to it. And now that I have, I’m embarrassed at how long it took. I mean, it’s a Butterfinger. They’re so happy. Why would anyone ever leave them out on purpose? Especially when they can go into brownie bites? And I’m not talking about those mediocre brownie bites you buy at Costco in the container. Nuh-uh. 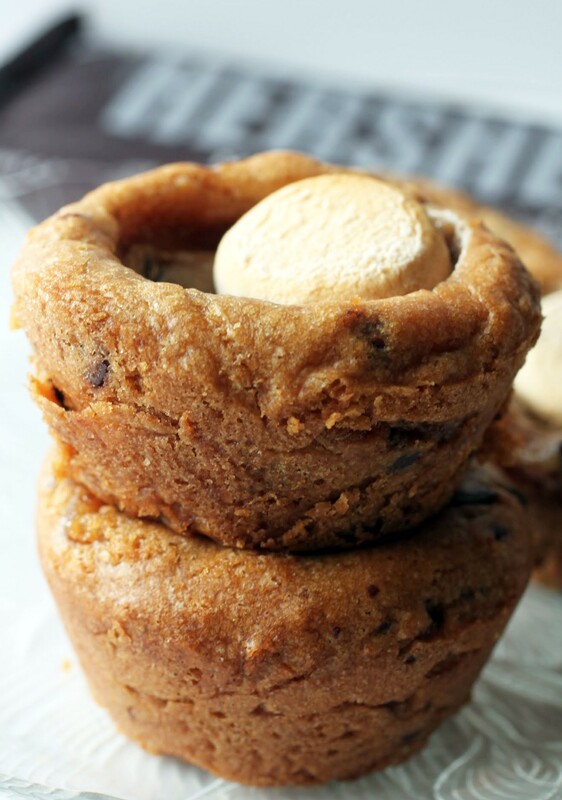 These blow those sad little stand-ins for a baked good out of the water, and then some. This fudge is gorgeous, Mir! 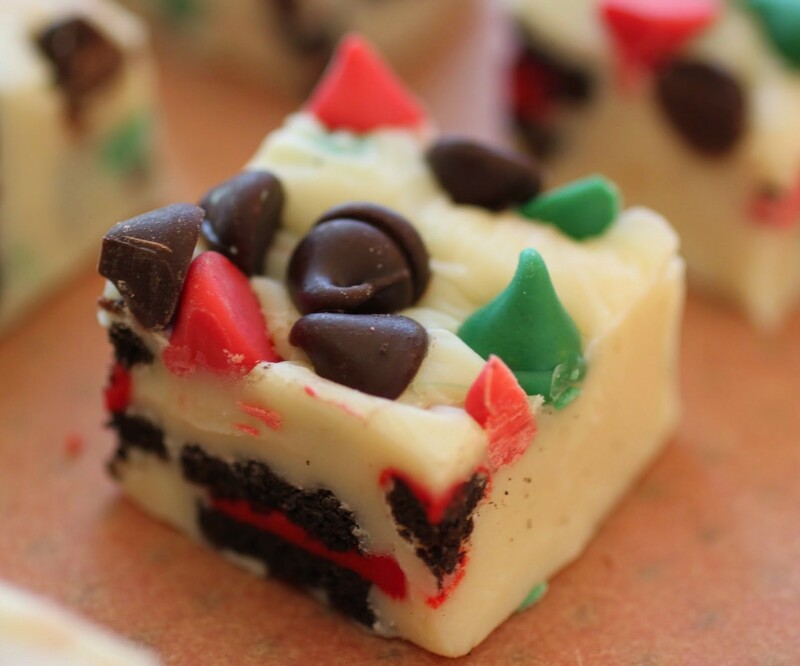 I love the pretty red and green colors that surround the white chocolate. I would keep sneaking squares of this all day long! And I agree, sweetened condensed milk is the way to go. Love this one! I’m in a love affair with sweetened condensed milk, Gayle. It’s one of my favorite baking products ever. It’s been a great week, friend! Thanks for doing this with me! It looks beautiful, festive and delicious! I’m sure it will look awesome with Chanukah colors, hopefully they come up with them next year! Love the oreos inside! I’ve learned my lesson regarding white chocolate: always melt it on the stove top and watch it closely. Pinned! Thanks for the pin, Mira! That white chocolate is tricky. I get worried with the microwave . Melts it too fast! 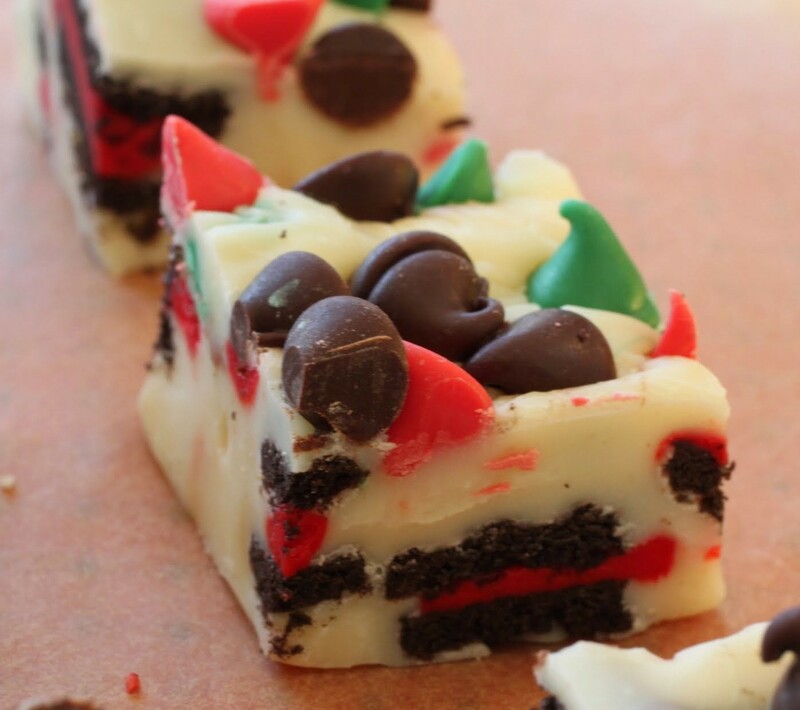 Pass me some of this Holiday Oreo Chip Fudge and I’ll be happy!! 🙂 love it! so festive and fun and what a great way to end fudge week!! Thanks so much, Alice! It has been a really fun week. I’m going to miss all the fudge! I don’t have a problem with red and green 🙂 Though blue is really pretty! Whew, I can’t decide which fudge looks better! This looks like a three piece fudge day … you and Gayle nailed it! Thanks, Mary Frances! I like red and green. I just wanted me some Chanukah fudge! Thanks, Stacey! 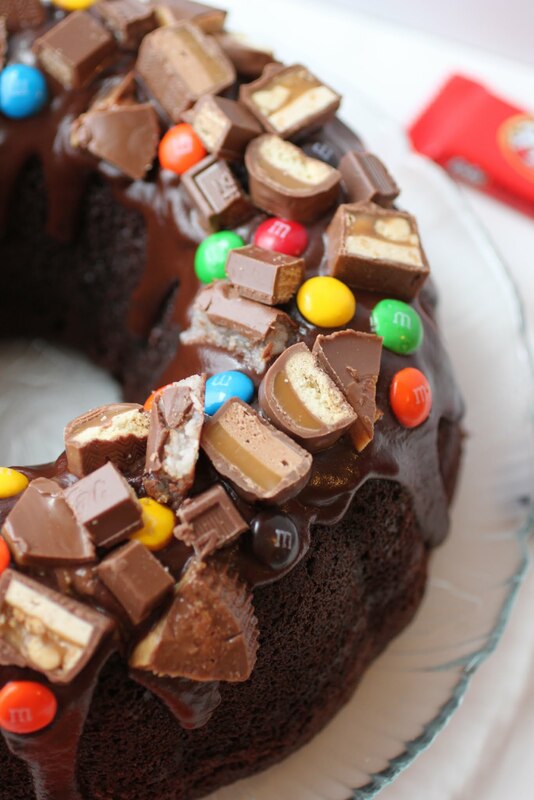 We had a lot of fudgy fun! I hope so too, Jocelyn! We had a great time!